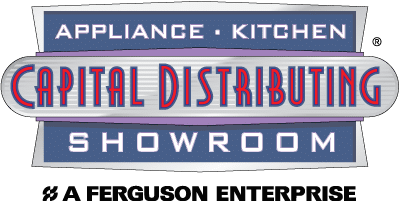 The Capital Distributing Showroom on I-35 and Inwood Avenue in Dallas provides the ultimate appliance shopping experience. You can see over 50 unique appliance brands, ranging from value appliances for price-conscious shoppers, to custom made luxury appliances that provide exceptional performance for those seeking exceptional, world-class results. Instead of driving to dozens of stores across Dallas, trying to find the best appliance for your kitchen, you can evaluate the wide range of appliances available in Dallas, all at one location. Our selection of appliances saves you time, and our experienced team will provide the information and expertise that will help you find the appliance that is right for you, based on the criteria you care about most: performance, quality, price, warranty, and your preferences. If you live in the Dallas metroplex and you are looking for new appliances for your kitchen, then don’t miss the opportunity to walk through what many people say is the finest selection of kitchen appliances anywhere in Dallas—all under one roof, at Capital Distributing. A German appliance manufacturer offering a full line of high performance kitchen, laundry and vacuum products with standards of lasting 20 years.